A devastating and terrifying pandemic left lifeless city of New York. A few days later, without food or water and deprived of basic resources, society collapses into chaos. Then Division, a secret agent tactical unit capable of operating independently, takes action. Your goal will be to save society from self-destruction and chaos that has engulfed it. When society collapses, begins your mission. We dive into the city of New York, now devastated and chaotic, where society is failing. 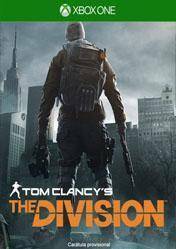 As a Division agent, your mission is to restore order, collaborating with other agents with finn to restore peace and order in New York. This is an RPG in an open world and where we have constant contact with the other players, plus we use our abilities, weapons and wit in the combat, since it has certain strategic style. This game is something else ! Looks awesome !